Registration for this Comeback ends May 19, 2017! Don't delay! Do you ever feel like you're failing at finishing your best laid plans? Are you running on fumes by the time you get home at night, exhausted from the day but with a mile-long list of things still left to do? Do aches and pains, low energy, fitful sleep, diet issues or irritability hinder you from working up to your full potential? Give me 90 days and I'll help you transform your schedule, renew your thinking, and refresh your life. Complete an in-depth analysis of your time to find pockets in your schedule where everything can fit. Learn to work smarter, not harder. Analyze your patterns and trouble spots to find a deeper understanding of the thoughts, fears, or self-defeating beliefs you're not seeing. Learn the research-proven strategies you need to overcome burnout, stop spinning your wheels, and become the best possible version of you. 3 online group coaching sessions. ($204 value) Participants take turns sitting in the "hot seat" on this live call to get one-to-one coaching for solutions to burning issues. Attend the calls live online, or watch the recordings later at your convenience. Unlimited private voice messaging with Celeste. ($548 value) Trouble-shoot and problem-solve your own personal daily hangups with an expert in the psychology of relationships, human behavior, parenting, work-life balance, and happiness. Unlimited voice messaging lets you bring up these snags as they arise and get the practical support you need from a caring leader (and professional therapist!). Private Community ($150 value). Join your peers inside the private Facebook group for deeper discussions, authentic connections, and the support you need to achieve your best life. Online Course Modules ($97 value each). Enjoy our self-paced classroom where you can learn stress relief coping strategies that were once only known by the pros. Next 90 Day Comeback starts June 1st but registration ends May 19th - Book now to reserve your spot! 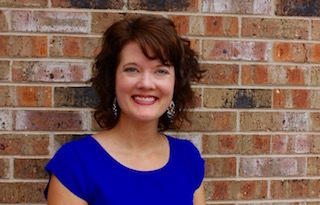 Celeste Coffman is a Licensed Professional Counselor and Certified School Counselor passionately helping women become empowered, ditch overwhelm, and live with purpose. Her private practice, Thoughtful Journey Counseling, thrives with in-person clients while her online coaching programs help women find real solutions to actual problems while overcoming their mindset obstacles. Celeste's hobbies include podcast binging, listening to 90s music, and collecting mountains of craft supplies with no hope of ever completing the intended projects. Find her at CelesteCoffman.com. I began coaching with Celeste because I wanted to get some objective feedback on the emotional (read stressful) side of building a business. She was the perfect person as she has a background in counseling. What I got was so much more. Not only did Celeste help me find the margin in my schedule that I so desperately needed, because she’s a business owner herself, she also offered up simple technical and business systems solutions that helped me ease my anxiety and find the space I needed to enjoy my business and my home life. Funny thing is, after you make space between the tasks in your life, your mind frees up enough to clarify your vision and new ideas start to roll in. So, while I didn’t start my coaching experience with Celeste to find business clarity, it has been an amazing side effect. If you’re a business owner looking for friendly, down to earth and practical advice to simplify your entrepreneurial life, Celeste is the coach for you. Thank you so much, Celeste! I joined your FaceBook group. I just heard your podcast on I think Boss Moms... and it was so good. I LOVE what you're doing, it's so needed. Thanks so much for all you do! I heard your interview on Boss Mom and LOVED it. I think it was one of the best episodes.